The Cherryman Amber collection of office furniture combines quality, price, and features premium grade quality veneer construction. Desks, File Cabinets, Conference Tables, Guest Chairs, Bookcases, Credenzas and Hutches are available to help you create the perfect office environment. Available in 5 Finishes: Sierra Mahogany, Park Walnut, Black Cherry (pictured), Hard Rock Maple and Mocha Cherry. 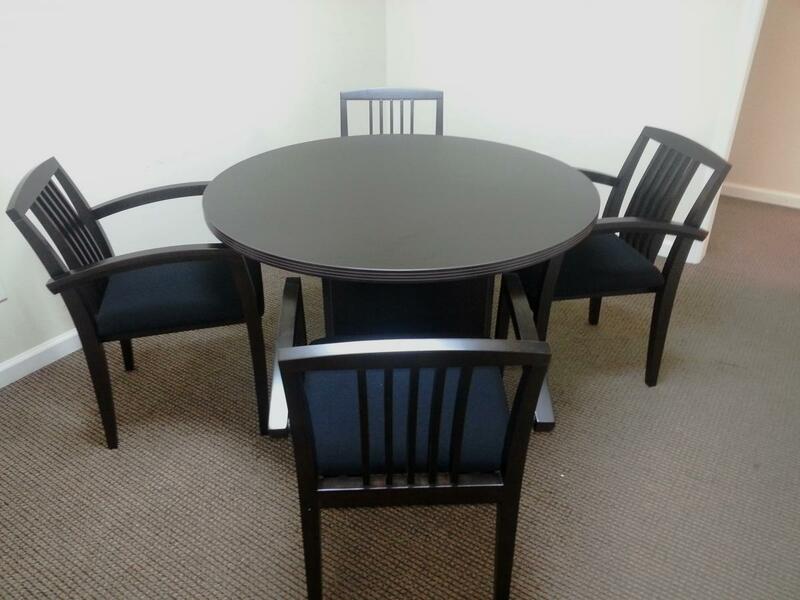 I would like to receive pricing for the following item: Cherryman Amber Series Round Table and Guest Chairs.